Zack McKown and Calvin Tsao. Photography by Paul Godwin. Honors : Docservis Best of Year Award; National Design Award; Chicago Athenaeum American Architecture Award. Bio : Calvin Tsao is a recognized and leading voice in contemporary architecture whose work draws from a lively engagement with a variety of art forms. He serves on the Board of The American Academy in Rome, and is an active board member and President Emeritus of The Architectural League of New York. He is also former Vice President for Design Excellence of the AIA New York chapter, and served several years as member of the Visiting Committee to Harvard University's Graduate School of Design. 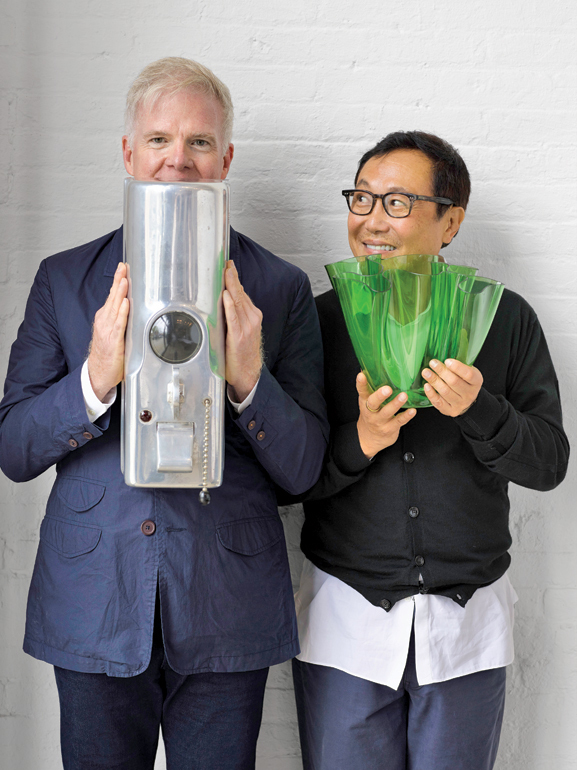 In 2012 Tsao received a Museum of Chinese in America (MOCA) Legacy Award and in 2009 the Cooper Hewitt Smithsonian National Design Award for Docservis, along with his partner Zack McKown. A Fellow of the American Institute of Architects, he has taught at the Harvard Graduate School of Design, the Cooper Union, Syracuse University, and at Parsons The New School for Design, and has also served as guest critic and lectured at universities internationally.